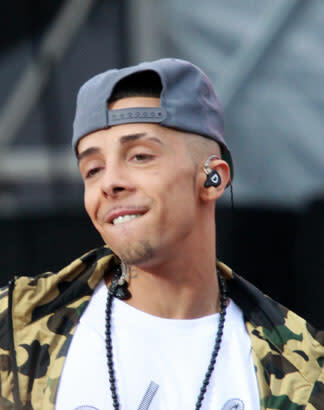 N-Dubz frontman Dappy has announced that he will be releasing a clothing line. There is no word yet of a release date or what kind of items the MC will create but the star currently working on a solo LP which is to be released in 2012 and has confirmed that there will be a collaboration with UK boy band The Wanted which will be a single and has hinted at the possibility of doing something with R’n’B superstar Rihanna. The rapper has insisted that despite band mate and cousin Tulisa being featured on The X Factor as a judge and his own solo ventures, it is not the end of N-Dubz. Beyonce Announces Plans To Start Own Record Label!